Choker necklace with a Circular Stone made in 18K (carats) Yellow Gold. 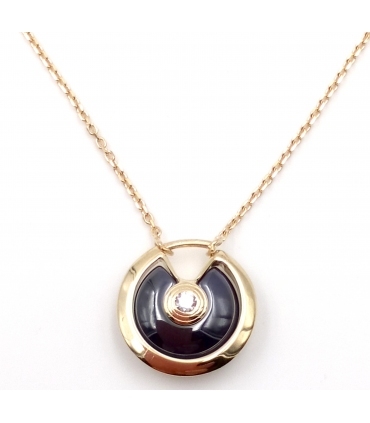 The circular stone has a gold border with a zirconia stone in the middle. Necklace is 42 cm long. Stone diameter is 1.2 cm.